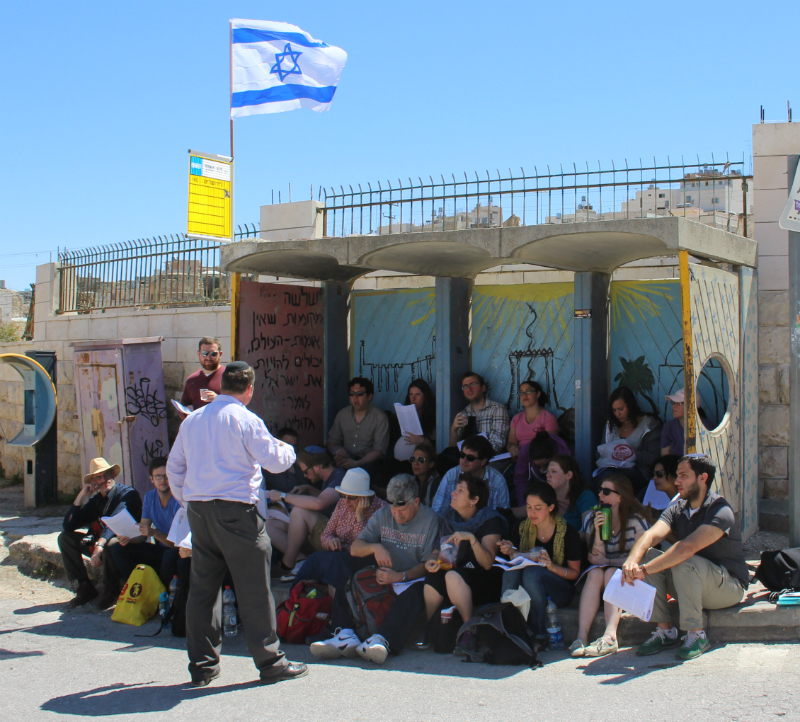 On Monday, July 3rd, we invite rabbis and cantors (and their spouses) to join us and Breaking the Silence for a tour about the history and realities of the occupation in the Ramallah area in the central West Bank. The tiyyul describes the development of the Israeli policy in the occupied territories throughout fifty years of occupation, the development of the settlement enterprise, the first and second Intifadah (Palestinian uprisings) and the Oslo process, and the IDF's methods of operation in the territories from the Second Intifadah onward. We will explore how the occupation has impacted the lives of Palestinians through land, planning and civil policy, and the consequences of having two separate legal systems for Israelis and Palestinians. The tour is a circular route, leaving from Jerusalem and touring the area around Ramallah from the east via Route 60. The main stops of the tour are the settlement of Ofra —driving through Wadi Haramia— a meeting with Palestinian activists in the village of Nabi Saleh, a visit to the ultra-orthodox settlement of Modi'in Illit, and a stop near Ofer military prison on Route 443. We'll look at the places we visit, the people we meet, and the issues we encounter through the lenses of human rights, the lived experiences of Palestinians and soldiers, and through Jewish text, and will explore how we might bring these stories back to our communities. This trip's logistical coordinator is Itamar Haritan, Truah's Israel Program Manager, who will be sending out a confirmation email. The trip fee of $20 includes all transportation and a kosher, vegetarian lunch. We will not be entering Area A of the West Bank. We will be monitoring the security situation and will make any appropriate changes to the itinerary as necessary. If you are unable to attend the tiyyul, and would be interested in another opportunity on Sunday, July 16th, please click here to let us know, and we may organize an additional tiyyul on that date. This event has ended. Sign up for our mailing list to stay informed of future opportunities. This event is currently sold out. Please contact us for options.